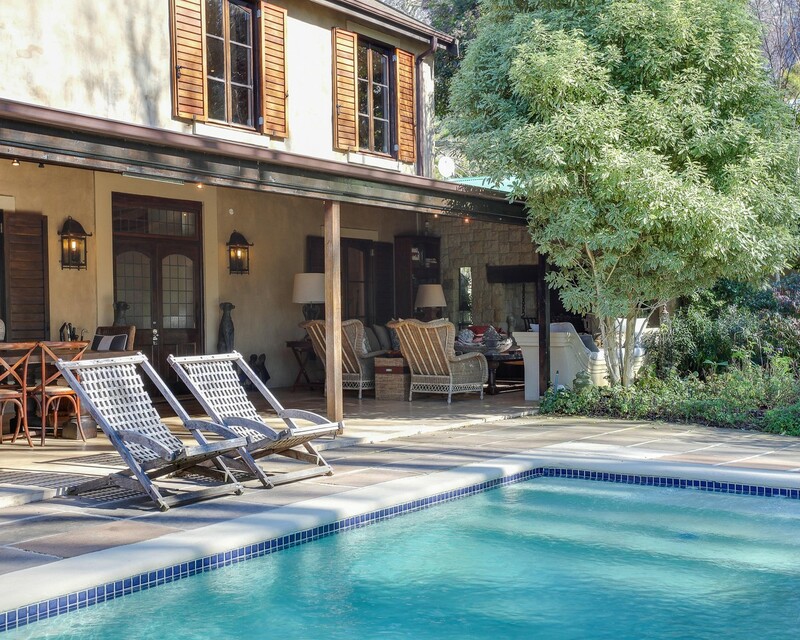 Sign up and receive Property Email Alerts of Freestandings to let in Newlands, Southern Suburbs. STUNNING 4 BED, 4 BATH, MEDITERRANEAN STYLE HOUSE FULLY FURNISHED. This absolutely amazing double-storey home offers all the comforts and has the most exquisite views. Spacious enough for the whole family, offering 4 Bedrooms, 4 Bathrooms, Lounge, Entertainment Lounge, Dining room, Kitchen, Laundry, Beautiful Patio's, Sunny courtyards with an array of flowering plants. Pizza Oven, Gas Braai facilities, Pool, and the list goes on....Just arrive with your clothes and start living. The house comes equipped with everything you will need. There are 3 garages and plenty of on-site parking. A gardener will come in twice a week to sort out the pool and garden and there is a lady available to clean during the week. There is a borehole so no water restrictions. Sign-up and receive Property Email Alerts of Freestandings to let in Newlands, Southern Suburbs.